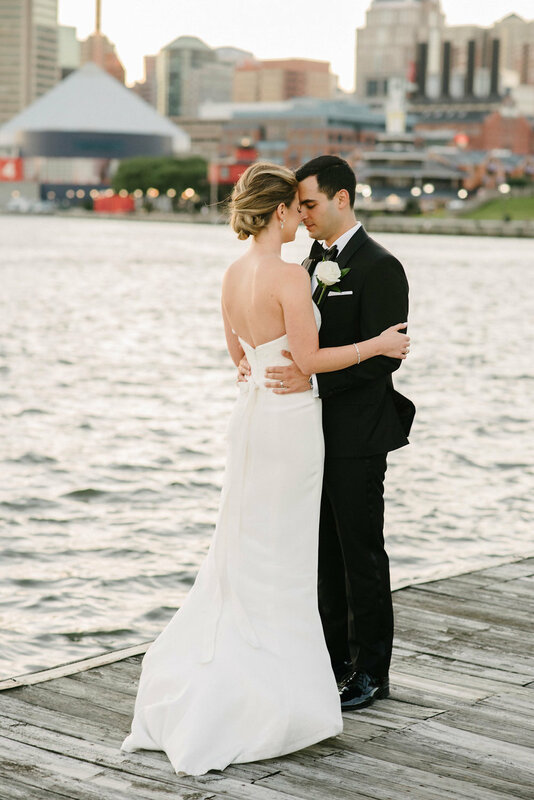 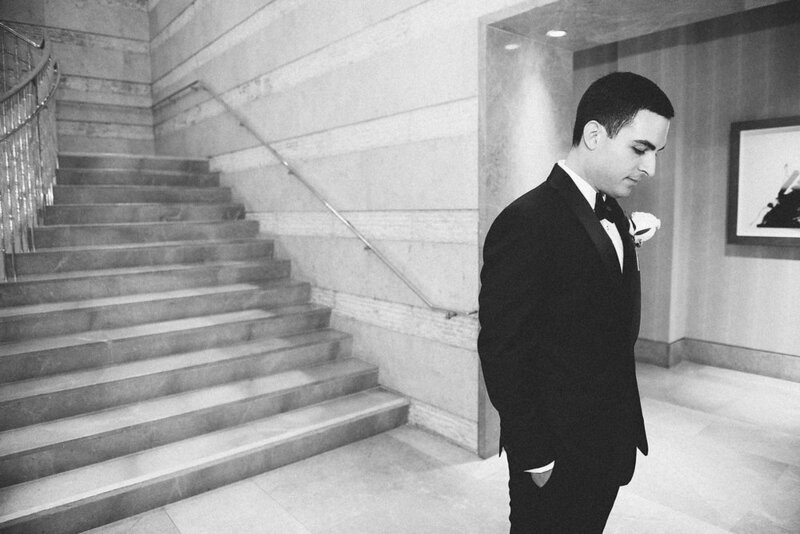 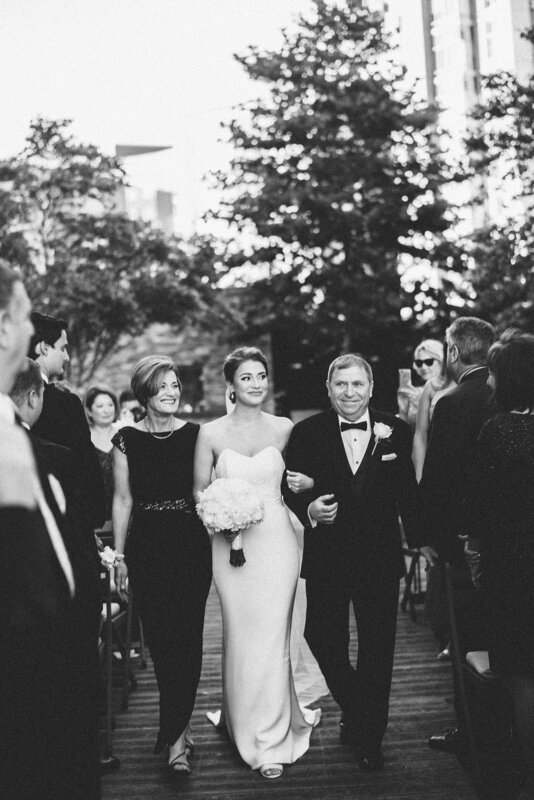 Aaron and Maya celebrated their love by pairing ancient traditions with a chic, modern setting. 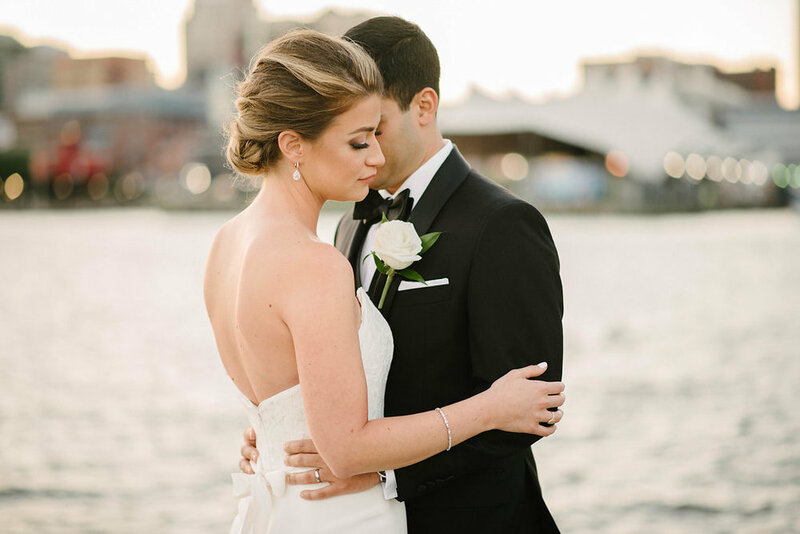 The beautiful backdrop of soaring glass buildings made for a striking statement against the tradition chuppah under which the couple was married. 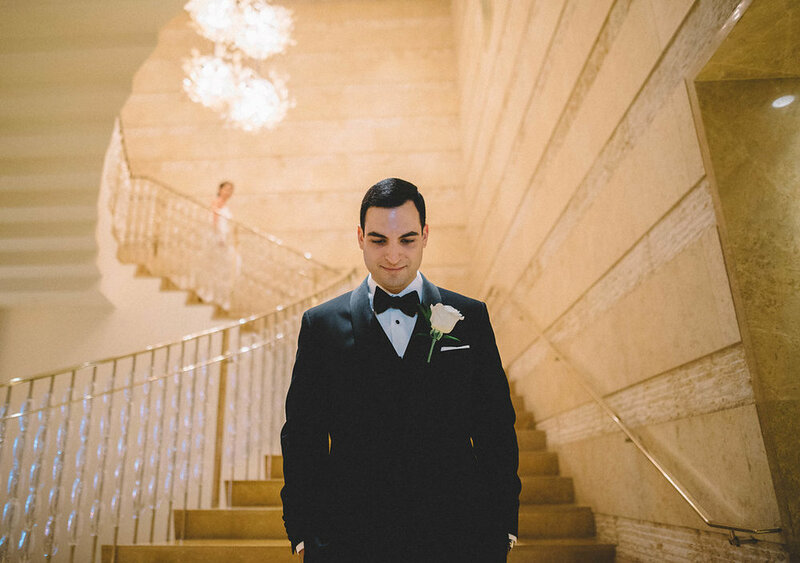 This alter feature was adorned with traditional prayer shawls called tallits and the groom wore a tallit during a portion of the ceremony. 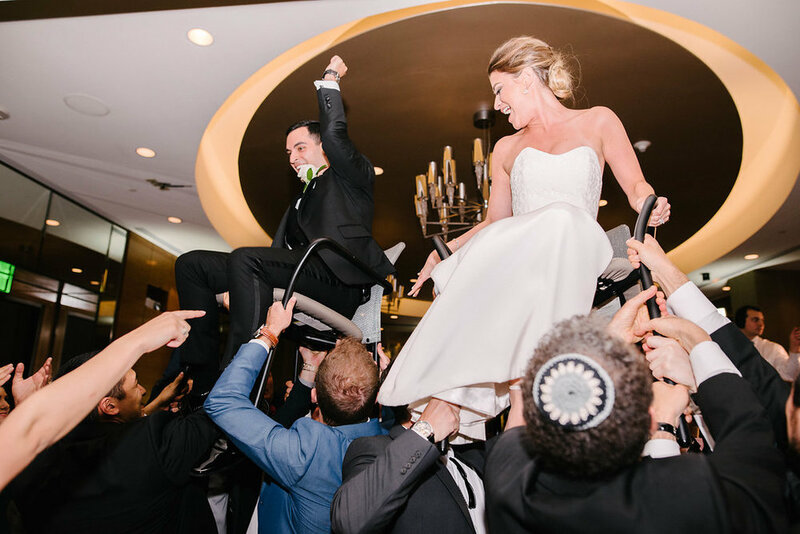 The bride and groom also held to the tradition of signing and displaying their ketubah, a formal marriage contract written in the Hebrew language. 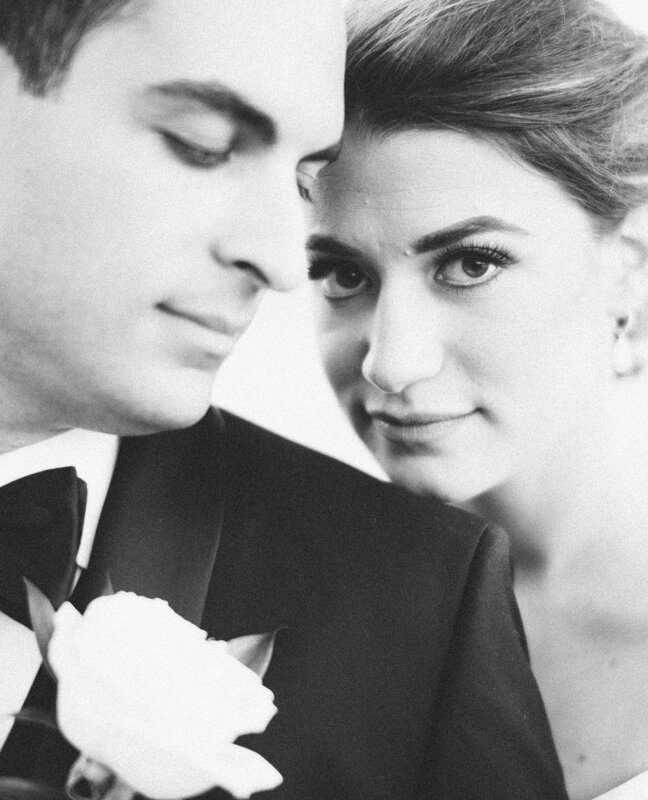 All of this attention to time honored tradition leaves us feeling wistfully appreciative when looking back at these gorgeous photos.